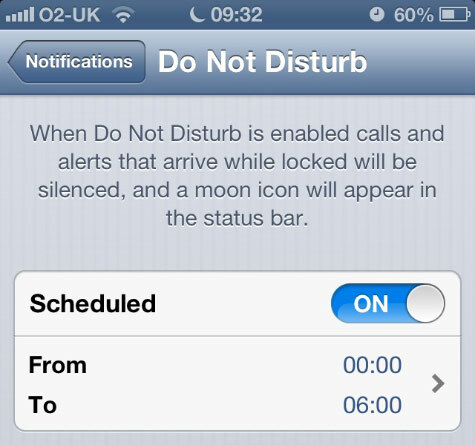 Calling all iOS users who have their Do Not Disturb mode on schedule, check your device, you probably have a new notification that was silenced thanks to a bug that prevents it from being turned off automatically. I’m not quite sure if it happened yesterday for us, but it has been reported that since the New Year, the feature stopped functioning as promised and sure enough a quick check on my phone shows that the little moon icon is still there on my iPhone; it’s scheduled to be turned off at 8am every morning. Don’t panic, just turn it off manually if you still wish to have your alerts back. Apple hasn’t released an official fix for it yet so until then, do make sure you turn off the DND feature and not miss calls from your work. On another note, Apple ironically released a new video ad for the DND function earlier today that features Venus and Serena Williams playing ping-pong in someone’s dream and how important DND is. Video available right after the break.